Happy Friday Asteeza Insiders !! We are in the midst of strawberry season! Yes, everyone knows that these small red delicious bite size fruits are good for you BUT did you realize all of its powers?? Hey, and that also gives me an excuse to eat those delectable chocolate covered strawberries that have such an appealing charm. I mean according to an article published by WEIGHT WATCHERS- not kidding, “It’s actually good for your heart and also good for your blood pressure”.SCORE ! Relief is yummy ! 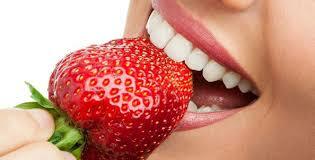 Here’s to a strawberry eating weekend! Anyone want to join me ?